What Do Dietitians and Nutritionists Eat on July Fourth? 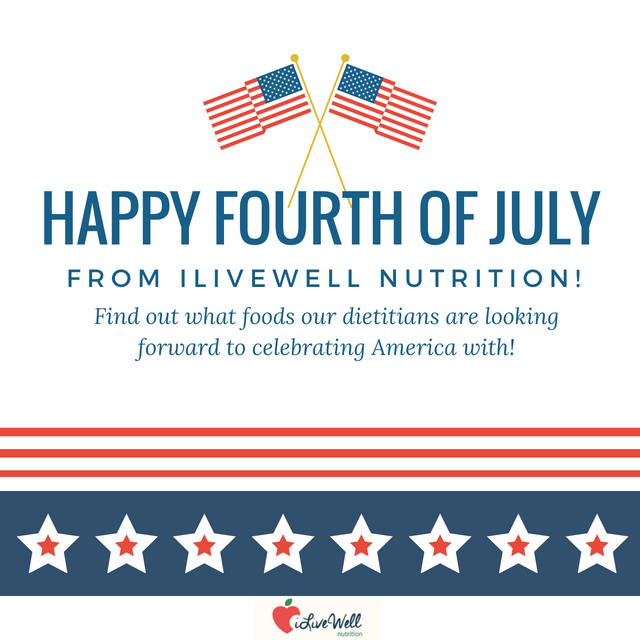 Check out what our I Live Well Dietitians are cooking this Fourth of July! The Fourth of July is an iconic holiday in the states, and it often provides a great opportunity for family and friends to get together as the summer heats up. And what better way to celebrate than over a great meal! We asked our dietitians what foods they will most be looking forward to this July 4th, and not surprisingly, many of the foods included patriotic colors and some classic American cuisine! Be sure to check out the two recipes at the bottom for some inspiration if you are still planning your menu! What Fourth of July Favorite Foods are our Dietitians Looking Forward to Most? 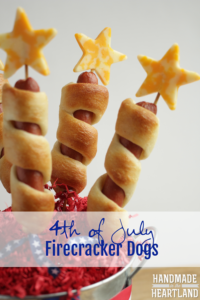 Firecracker Hotdogs. Recipe from Angela at Handmade in the Heartland. 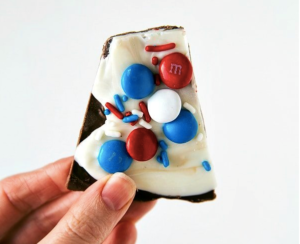 Red, White, and Blue Chocolate Bark. Recipe from Chelsea’s Messy Apron. Have a safe and fun Fourth of July and let us know what your favorite foods are in the comments below.